This event is held in the odd-numbered years. It includes the Bermuda Bowl, founded in 1950, the Venice Cup, founded in 1974, the d’Orsi Seniors Trophy, founded in 2001 and the World Transnational Open Teams – WTOT – founded in 1997. The Bermuda Bowl, Venice Cup and d’Orsi Senior Bowl are for national teams, respectively Open, Women and Seniors, representing their own countries, qualified from the eight WBF Zonal Conferences. The World Transnational Open Teams is open, without any qualification, to all teams, national or transnational, which want to participate, accordingly to the conditions of contest. 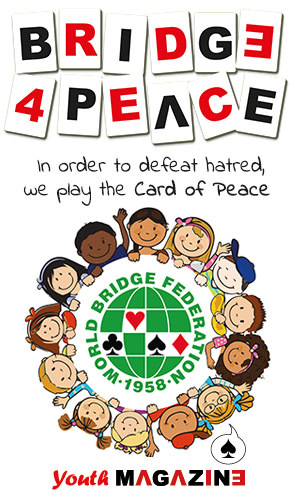 The World Bridge Teams Championships, the oldest WBF Championship, grew out of private initiatives principally by the late Norman Bach. The first world championship for the Bermuda Bowl was held in 1950, in Bermuda, eight years before the World Bridge Federation itself was formed. After the first event of the series, the Bermuda Bowl developed into a regular challenge match between the USA and the winners of the European Championship, but in 1957 the contest widened to included teams representing other zones of the WBF. In 1974, in Venice, Italy, a new event was launched, the Venice Cup. It started as a challenge match between women’s teams from the USA and Italy (Europe ‘s representative) and today it is the equivalent of Bermuda Bowl for women, organized under the same laws and format. A third series, the Senior Bowl, for senior players was added in 2001. Ernesto d’Orsi, Past President of the WBF and a member of the WBF Committee of Honour and the WBF Executive Council, presented the d’Orsi Seniors Trophy for the winners of this Championship at the World Teams Championships held in Brazil in 2009.